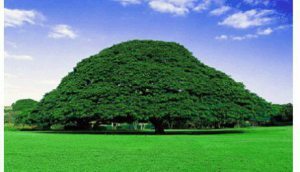 This article explores the raison d’être for why the Neo-Agazians – the king makers in the Tigray People’s Liberation Front (TPLF), a.k.a. the present-day rulers of Ethiopia – have adopted a non-intuitive strategy of waging a war of attrition against the Oromo through a notoriously brutal proxy, the ill-reputed Liyu Police of the Somali region; whilst they were rather widely expected to reassess their current policy and attempt to pacify Oromia – a state that has been the epicenter of a historic and heroic popular opposition against the government in the last three years. In my opinion, here are some of the primary reasons. (Ayyaantuu) -Somalia to its regular incursions into Kenya, as well as its so-called peacekeeping missions in south Sudan – are all motivated by what appears to be a preoccupation to deny the Oromo liberation army (OLA) a base of operation. These military adventures have been carried out without due regard for the cost in human lives, but they have allowed the regime to stay in power by weakening its greatest homegrown threat which comes in the form of OLA. There is no doubt that the OLF has been downgraded, partly as a result of these actions by the TPLF and the resulting geo-political outcomes. The OLA has diminished in size and effectiveness from its heyday in the late 1980’s, when it was able to engage two formidable opponents – the Sudan People’s Liberation Army and the Ethiopian army in the west, and the latter in the east and the southeast – and thrive at the same time. TPLF’s strategic maneuver and direct military interventions in the neighboring countries contiguous to Oromia in the last two decades should thus be seen in light of its fixation to deny its strategic nemesis, the OLF, a military base of operation – an objective in which it has succeeded to a great extent, thus far. But, judging by events that have transpired in Oromia in the last three years, particularly in 2016, it appears that the OLF has adapted to these difficult geo-political circumstances and could be poised to take on the TPLF more vigorously than before. Notwithstanding the misguided efforts by some in the diaspora to hijack the Oromo Protests, there are clear signals that the protest movement is orchestrated by the OLF. This development has shaken the regime to its core, from which it is likely not going to able to recover. The Oromo Protests have put the TPLF in unfamiliar territory, forcing it to react to facts on the ground its adversary has set in motion. Albeit at tremendous cost to Oromo lives, round one of this phase of the conflict between the OLF and the TPLF was decisively concluded with the latter substantially degraded politically and economically, if not militarily yet, invigorating the former substantially. Therefore, the ground work seems to have been laid for round two and perhaps the decisive stage of this phase of the conflict; and judging by its current activities, the TPLF is mightily worried (as it should be) about the likely outcomes. One of the dangerous policies the TPLF is pursuing currently to foil what is shaping up to be a historic faceoff between its forces and Oromo freedom fighters, is to unleash the notorious Somali region paramilitary group on peaceful Oromo citizens in the east, the south and the southeast. In my opinion, the main purpose of this move is to provoke OLF fighters to come out of the woodwork, as it were, in order to engage them militarily before more recent events have a chance to solidify in ways that will benefit the combatants. 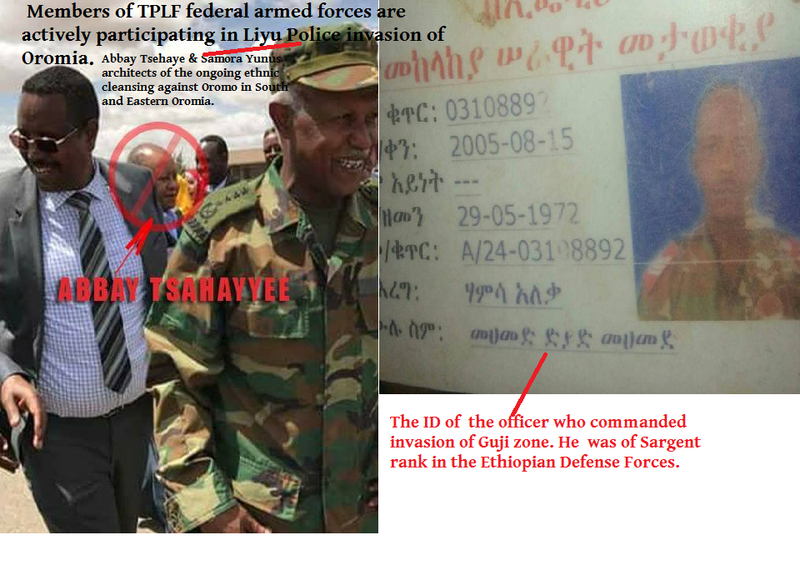 Based on certain signals that are out there, the OLF might have succeeded in embedding its forces in certain communities in Oromia, and it would be reasonable to assume that the TPLF wants to flush these Oromo fighters by goading them into battles of its choosing. It is a clever move, but it doesn’t appear that the OLF is taking the bait. The principle of “the best defense is a good offense” has successfully been employed in many areas of life that are guided by strategic interactions between two or more actors. Whether it is sporting competitions, competitions for market, or more consequential human conflicts such as wars, players that prevail are often times those that strike first and knock their opponents off their game plan, forcing them to react. Successful war generals and strategic thinkers – including George Washington, Mao Zedong, Machiavelli and others – have utilized this principle with remarkable success. The TPLF has used this adage throughout its existence – both in the military and the political arenas – initially against the fearsome Dergue, and later on against all opposition parties, including the OLF. In all the engagements I personally witnessed closely, for instance, the TPLF always seemed to relish the initiative to attack – often with surprising speed and agility – forcing its opponents to scramble to assume defensive positions, denying them opportunities to launch their own attacks. The surviving members of Dergue’s armed forces could speak more competently than I can about the efficacy of TPLF’s famed Qorexa tactics in the battle field. With the OLF adapting to the aforementioned difficult geo-political realities in the Horn of Africa, and OLA likely getting deeply rooted in Oromia, the TPLF appears to have lost the strategic edge it has worked so hard to achieve and maintain. The Oromo Protests have exposed its weaknesses so unmistakably, sending a clear signal to potential partners or enemies, big or small, that the “dogs from Tigray” might have just been neutered and may not have potent bites anymore. Notice the most recent political developments in Somalia, South Sudan, the European Parliament, and even some corners of the US government – developments that mark that the ground has begun shifting from under the TPLF. Therefore, with no obvious OLF military camp it can attack, and a realization setting in among its senior ranks that its strategic opponent might have regrouped enough to start putting some non-trivial points on the board; the TPLF is undertaking unprovoked military aggressions against Oromo civilians in the east, the southeast, the south, and the west via its proxy paramilitary units, certain that the oppressive system it has built over the years cannot be sustained if it is perceived to have lost its mojo. Thus, its latest move is most likely a desperate attempt to send a signal to its friends and foes that it is in control and still calling the shots. One of the remarkable outcomes of the Oromo Protests was that it annihilated the intricate and oppressive state structure the TPLF had built in Oromia using the so-called Oromo People’s Democratic Organization (OPDO), an outfit that was created by TPLF to rule and exploit the Oromo. The TPLF doesn’t stand a chance to rule Oromia without the OPDO serving the purpose for which it was invented. To reinstitute its tentacles throughout Oromia, therefore, the TPLF is employing a number of obvious and subtle strategies including the following: launching different initiatives meant to seduce the unemployed youth; promoting a few “educated” Oromo individuals to positions of power; and most importantly, undertaking moves that might ingratiate the OPDO to the Oromo. Lemma Megersa – the shiny-new telegenic puppet of the regime– is assigned a role of play-acting as the second coming of Tadesse Birru on TV, although he is little more than a pawn in a game being conducted behind his back against his own people. If implemented properly, the unfolding strategy of unleashing the Liyu police on the Oromo would also contribute to the objective of endearing the OPDO to the Oromo to a certain extent. Here is a two-sentence script for this play: The TPLF invades the Oromo by using its proxies just enough to rile up the Oromo from coast-to-coast; then boom, the OPDO comes to the rescue, turning – contrary to reason and logic – into a “legitimate” Oromo organization that can protect the interests of its constituents. Arguably, this drama has thus far played out as planned by its authors, considering how many Oromo activists have fallen for this cruel scheme. Just because they uttered nationalistic soundbites on state TV, some members of the so-called Caffee Oromiyaa are being promoted as defenders of Oromo national interests by individuals who should know better, indicating that the Neo-Agazians might have achieved some of their short term objectives by making the OPDO an acceptable alternative to a segment of our traumatized population. The Oromo national trauma must be so deep that many mistake the enablers of their abusers for their saviors. Events that have transpired in the last three years in Oromia – particularly the well-orchestrated massacre at the Irreechaa festival on October 2, 2016 and the ethnic cleansing operations being carried out against the Oromo of Hararge, Bale, Guji, Borana, and some parts of Wollega – are well-designed operations by TPLF aimed at, among other things, breaking the thriving morale of the Oromo and checking the rising tide of Oromo nationalism. The TPLF has always banked on riding Oromo nationalism that it believed could be manipulated at will to exploit Oromo resources, and utilized to engage in a campaign against the traditional and historical nemesis of Tigray – the Amhara elites. When this strategy failed – with the Oromo taking a heroic stand to challenge its monopoly of power and exploitation of their resources; and the Oromo and the Amhara showing some signs of solidarity, even if tactically – it resorted to a war of attrition against the Oromo, foolishly thinking that that would break the thriving morale of the Oromo and put the genie back in the bottle. For those capable of discerning the zeitgeist in contemporary Ethiopia, however, the writing on the wall is unmistakable: Oromo nationalism has prevailed against all odds – thanks to the sacrifices of countless precious Oromo children – and will continue to develop at a pace determined largely by the dialectics within Oromo society. No amount of treacherous designs by the current rulers of Ethiopia, or the ill-will of those who wish to dismantle it, can derail it from its current auspicious trajectory. As stated earlier, the Oromo Protests have inflicted heavy losses – politically, diplomatically, and financially – on the TPLF from which it will never recover. Although this is not how smart strategic players are supposed to conduct themselves in high-stakes political games, I can’t put it beyond the realm of possibility that avenging for these losses might just be one of the motivating factors for the dangerous course the TPLF has chosen recently. To the extent that the Neo-Agazians are disposed towards having a sense of entitlement to the political and economic power they are currently enjoying undeservedly (there are plenty of evidences indicating that this might be the case), their lashing out against the Oromo – a nation that has effectively foiled their long-term objective of developing Tigray at the expense of Oromia – should not be unexpected. In summary, the TPLF is a severely wounded entity that is running out of options faster than most so-called experts of the Horn of Africa anticipated. There will not be any measure it will not pursue in order to stay in power for as long as it is feasible. For now, Abay Tsehay and co. are using Abdi Iley and his UK-financed killing-squads as a “Hail Mary pass” to see if that could extricate the TPLF out of its desperate situation. The OLF is expected to execute its game plan with discipline, focusing on the real prize, disregarding the white noise coming out of the diaspora in the virtual space. Bob Zimmer, Member of Parliament for Prince George-Peace River-Northern Rockies, Canada has expressed solidarity for #OromoProtests.